A Lively Experiment will return on May 6. It's pre-empted this week so we can present the annual Spring Auction. Visit ripbs.org and browse the auction inventory. It's a great way to support WSBE Rhode Island PBS: your high bids help keep your favorite local public television political affairs program on the air! We had some talented and fun-loving auctioneers: Ben Hague of The Rhode Show on Fox, mornings at 8; Paul Fuller of Paul & Al mornings on WHJY; Jim Cummings from Bank of America - the evening's sponsors - and Mike Sheridan, whose radio voice has long kept you out of traffic jams. Of course, the King of the Gift Certificate boards, Dave Richards of WOON 1240 AM radio, kept the bargains rolling while entertaining the phone bank volunteers and viewers. Speaking of watch, Day 2 of the televised auction starts at 7 tonight. Guest auctioneers include John DePetro of 630 WPRO-AM; Eric Hofer, owner of the Comedy Connection; Michelle Muscatello of WPRI 12, Katherine Ferrington of the Newport Visitors Bureau; and Barry Mechanic, publisher of The Pawtucket Times and The Woonsocket Call. Dave Richards and Mike Sheridan will join us again, too. The Clock is Ticking: The Live TV Auction Starts Monday! The crew has assembled and lit the set. Copy describing last-minute donations has been drafted and is being proofed. We now have more than 1,000 items described on our website. Believe it or not, we still have a few more pieces to enter online and you know what that means: click here to visit our site often to check out the new arrivals. The televised portion of our auction runs Monday - Friday, April 26 - 30, 2010, from 7:00 -11:00 pm, EDT. Remember that bidding high helps us pay for excellent programming for Southeastern New England families on WSBE Rhode Island PBS. Here's how the auction works: We're showing all the items available for bidding on our Web site. We’ll also show most of them on Rhode Island PBS during the televised auction. You can call the station and bid during the live broadcast, if you’d like. But our operators will enter your bids via computer, so bidding online streamlines the process for you by “cutting out the middleman” - even if you’re watching us on TV! Please Register if You Haven't Already! Registering takes moments. It’s necessary because our system must "recognize" a bidder before it accepts a bid. If you try to register and bid as an item is closing, you may not be able to finish in time to get it. If you’re not already registered, just click here to visit our homepage, then click "register to bid" to get started. It’s under the yellow "S" in "Spring Auction" at the top of the page. Proxy Bidding Makes Winning Easier! Can't tune us in? Can't wait to bid for those "Must-Have" items? No Problem. Bid now! Set up a proxy bid and you can specify the maximum you're willing to pay for an item. If others bid on the same piece, our auction hosting software will increase your bid on your behalf, by the minimum increment above the competing bid - but only to your maximum. If you're outbid we'll email you letting you know and, unless the item is about to close, you can decide if you'd like to increase your bid. Catch Us Even If You Can't Tune Us In; We'll be Streaming! Thanks to Internet streaming services provided by ON Worldwide, most of the live TV auction will be on worldwide! Just click here to listen. (Google Chrome users click here, then hit “ON TV” to watch whenever we’re available.) Why not bookmark the page to find it fast! Robert Walsh – Executive Director, National Education Association R.I.
WSBE Rhode Island PBS transmits over the air on digital 36.1; Cox/Verizon/Full Channel 08; DirecTV 36; Dish Network 7776; ComCast subscribers, please check local listings for the channel number in your area.Viewers with high definition (HD) capability can receive WSBE Rhode Island PBS HD programming over the air on digital 36.1, Cox 708, Verizon 508, ComCast 819. Five Days and Counting to the 2010 Spring Auction! As our production crew begins getting the studio ready for our televised auction - seen on WSBE Rhode Island PBS Monday, April 26 through Friday, April 30, from 7 – 11pm each evening - we continue adding more items to our inventory. Donors have been generous as the deadline to line up items for broadcast closes in. And you know what that means: Check our site often because that special item you're looking for could show up tomorrow if it's not there today! Among the items posted within the last 48 hours are a Dyer 7' 11" Midget Dinghy - one of the most popular tenders in the yachting world; three 60-foot packs of GutterBrush, the Simple Gutter Guard; and two participation packages to this year's Newport Concours - one of the top classic car events on the East Coast. Remember that bidding high helps us pay for excellent programming the entire family can watch on Rhode Island PBS. Here's how the auction works: We show all the items available for bidding on our website as soon as we can after they’re donated. We’ll also show most of them on WSBE Rhode Island PBS during the televised auction. You can call in and bid during the live broadcast, if you’d like. But our operators will enter your bids via computer, so bidding online streamlines the process for you by “cutting out the middleman” - even if you’re watching us on TV! Registering takes moments. It’s necessary because our system must "recognize" a bidder before it accepts a bid. If you try to register and bid as an item is closing, you may not be able to finish in time to get it. If you’re not already registered just visit our homepage and click "register to bid" to get started. It’s under the yellow "S" in "Spring Auction" at the top of the page. 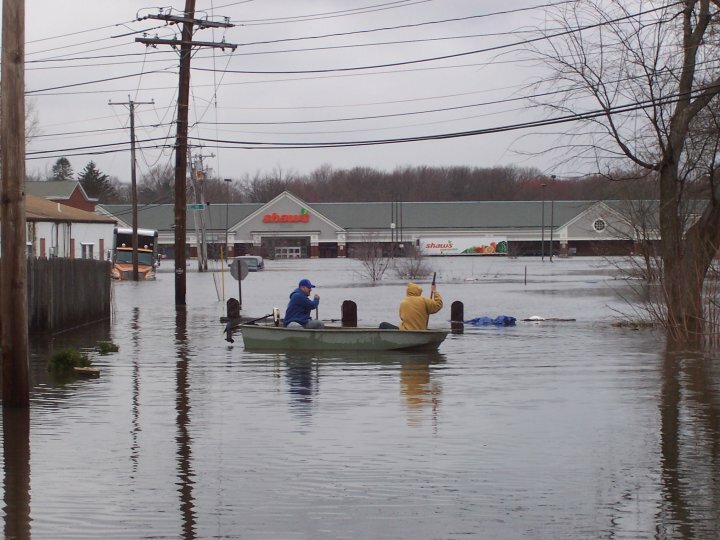 The Federal Communications Commission (FCC) has granted authorization to WSBE Rhode Island PBS to take part in the Rhode Island Flood Recovery Fund telethon. The special event will be held on Friday, April 16 from 4 P.M. to 11:30 P.M., and is organized by the Rhode Island Broadcasters Association (RIBA). "The FCC prohibits public broadcasters from raising money for any other cause but themselves, unless the station gets special permission. That permission came today," explained David Piccerelli, Rhode Island PBS vice president and chief financial officer. "We're delighted to now be able to participate fully in this important event." Piccerelli said Rhode Island PBS had a contingency plan to participate in other, more behind-the-scenes ways had FCC authorization not come in time or been denied: The station is providing the studio space and the phone lines needed to handle calls from donors. Rhode Island PBS employees are also volunteering to staff the phone bank, working with dozens of employees from local television and radio stations who are also volunteering their time for the cause. "Hundreds of our members, neighbors, and friends were affected by the flooding," Piccerelli said. 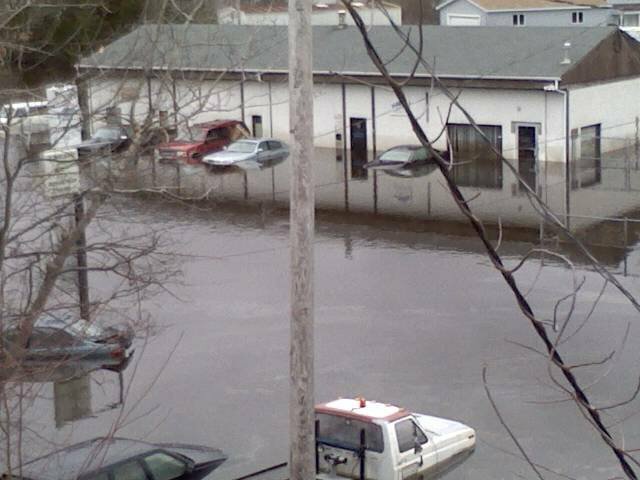 "Some of our own employees were evacuated from their homes, and others pumped out flooded basements for days. The whole state was touched by this calamity to some extent. And too many people are still trying to recover three weeks later. "We feel strongly that we should be part of this community effort. We're glad the FCC agreed." The Rhode Island Flood Recovery Fund was established to provide financial assistance to those affected by the storm. The Fund will collect and distribute financial aid directly to those organizations that are helping with “unmet needs” of people affected by the flood. A committee of community leaders will guide the distribution of money to the appropriate agencies. People who wish to donate before Friday's telethon may do so by visiting www.liveunitedri.org. WSBE Rhode Island PBS is owned and operated by the Rhode Island Public Telecommunications Authority, a quasi-public agency of the State of Rhode Island. WSBE Rhode Island PBS is a viewer-supported member of the Public Broadcasting Service. For more than 40 years, Rhode Island PBS has used the power of commercial-free media to educate, inform, engage, and inspire viewers of all ages in Rhode Island, southeastern Massachusetts, and eastern Connecticut. WSBE Rhode Island PBS transmits over the air on digital 36.1; WSBE Learn transmits over the air on digital 36.2. For TV schedules and more information about the programs and education services at Rhode Island PBS, visit www.RIpbs.org. Make it count: April is National Math Awareness Month! The American Mathematical Society (AMS) in Providence is marking National Math Awareness Month with a RI Math Film Fest. Tonight, Rhode Island PBS starts a companion television festival, with films and documentaries that feature math and mathematicians. Remarkable? They certainly are! Click here for reviews by the AMS of theatrical films and documentaries. I was impressed by all the "Math in the Media"! Produced and directed by Emmy- and Peabody Award-winning filmmakers Michael Schwarz and Bill Jersey, the documentary weaves cutting-edge research from the front lines of science into a compelling mathematical detective story. 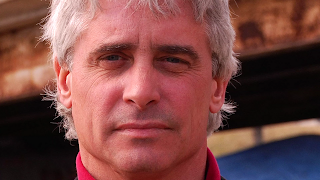 The film introduces a number of distinguished individuals who have used fractal geometry to transform their fields, like Loren Carpenter, who created the first completely computer-generated sequence in a movie. In the late 1970s, Carpenter stumbled across the work of a little-known mathematician, Benoit Mandelbrot, who coined the word "fractal," from the Latin word fractus, meaning irregular or broken up. Based on Mandelbrot's mathematical descriptions of fractals in nature, Carpenter was able to create detailed computer simulations of organic forms in a way that had never before been possible. The groundbreaking computer-generated sequence Carpenter produced in 1980 for Star Trek II: The Wrath of Khan marked a milestone in movie history, and owed its creation to fractal geometry. It took a maverick with a hard-won aversion to authority to stand up to the conventional wisdom that nature stood outside the bounds of mathematics. Through interviews and personal artifacts, Mandelbrot shares the story of his struggle to survive as a Jewish teenager in Nazi-occupied France, his journey to America, and his lifelong fascination with a corps of European mathematicians whose explorations of the so-called "mathematical monsters" laid the groundwork for his own discoveries. On Wednesday, April 14 at 10 PM, we present Gearing Up, a one-hour documentary produced by KETC in St. Louis and Story House Productions in Washington, D.C. Gearing Up chronicles behind-the-scenes drama and excitement leading up to the 2008 FIRST Robotics National Competition. Teams receive identical robot kits with no instructions and have just six weeks to build a robot capable of performing specific tasks. On Thursday, April 15, prepare to be blown away by the well-calculated genius and talent. At 8 PM, Hard Problems: The Road to the World's Toughest Math Contest is a feature documentary about the extraordinarily gifted students who represented the United States in 2006 at the world's toughest math competition—the International Mathematical Olympiad (IMO). It is the story of six American high school students who competed with 500 others from 90 countries in Ljubljana, Slovenia. The film shows the dedication and perseverance of these remarkably talented students, the rigorous preparation they undertake, their individuality, and the joy they get out of solving challenging problems. Above all, it captures the spirit of math competitions at the highest level. Although American students on the whole rank well behind many countries in mathematics, American math Olympiad teams regularly finish among the top teams. While aiming to inspire and entertain, Hard Problems provides an insightful and thoughtful look at the process that produces successful teams, and ultimately, great mathematicians of the future. Hard Problems takes a close look at exceptional students who make it to the highest levels of high school math, asking teachers, parents, siblings, the students themselves to shed light on what produces mathematical genius and how to nurture it. As we get to know them, the students in Hard Problems shatter many stereotypes and clichés about the mathematically gifted. At 9 PM, it's Independent Lens Between the Folds. The award-winning documentary chronicles the stories of ten fine artists and intrepid theoretical scientists who have abandoned careers and scoffed at hard-earned graduate degrees – all to forge unconventional lives as modern-day paperfolders. As they converge on the unlikely medium of origami, these artists and scientists reinterpret the world in paper, and bring forth a bold mix of sensibilities towards art, expressiveness, creativity, and meaning. And, together, these offbeat and provocative minds demonstrate the innumerable ways that art and science come to bear on the struggle to understand and honor the world around them. At 10 PM, It All Adds Up profiles the teachers and students of Wayne State University’s "Math Corps," a groundbreaking organization that partners struggling middle and high-school students from Detroit’s public schools with collegians, who help teach vital math and life skills the kids need to succeed. After 16 years, the program’s results speak volumes: more than 90 percent of Math Corps students graduate from high school, and more than 80 percent attend college. Produced by Academy Award-winning director Sue Marx, It All Adds Up features engaging and heart-warming interviews with alumni and current campers who testify to the life-changing impact of the Math Corps. "Math Night" wraps up at 10:30PM when The Innovators: Designing the Future examines the power of innovation to transform lives by spotlighting exciting new breakthroughs in science and technology. The program, hosted by author and Emmy-winning executive producer Helene Lerner, introduces three visionary engineers tackling the challenges of modern American life — from using robots to study the effects of global warming, to employing nanotechnology in the treatment of cancer, to designing cutting-edge consumer products. The Innovators: Designing the Future also explores why the United States produces fewer scientists and engineers than other industrialized nations, and profiles a high school program striving to make math and science "cool" again. Stand and Deliver (PG), based on the story of real-life math teacher Jaime Escalante (who passed away on March 30, 2010), who turned gang members and kids with no hope into successful calculus students (Saturday, April 17 at 1:00 pm); A Beautiful Mind, the Oscar®-winning bio-pic of John Nash, a math prodigy able to solve math problems that baffled the greatest of minds, and how he overcame years of suffering through schizophrenia to win the Nobel Prize (Sunday, April 18 at 1:30 pm) and Good Will Hunting (R), about charismatic, rebellious and brilliant Will Hunting, who solves a math problem, and along the way tries to solve his personal problems (Sunday, April 18 at 2:55 pm). Your New England Toyota Dealer has generously donated the car most people think of when they think of hybrid cars, the Toyota Prius. The much-acclaimed 2010 Toyota Prius Hybrid has been named Green car of the Year by WhatGreenCar.com and it’s really no wonder, with its EPA-estimated 50-mpg combined rating. It accomplishes this while delivering amazing performance and producing 70% fewer smog-forming emissions than the average new vehicle. But the 2010 Toyota Prius doesn’t just help save the planet, it will also save you money: Prius boasts very low ownership costs and for eight years in a row IntelliChoice.com has ranked it “best Overall Value of the Year.” IntelliChoice research shows that owning a 2010 Toyota Prius could save you over $6,800 in five-year ownership costs. As you can see, this comfortable, five-passenger Toyota Prius comes well equipped. Features include the Star Safety System with seven airbags; a JBL audio system with eight speakers, 6-disc CD changer, AM/FM/MP3, Bluetooth and Satellite capability; automatic climate control, cruise control; power windows and locks; rear spoiler and more! Click here to see the "Window Sticker" information including a detailed list of equipment. This vehicle is valued at $24,750. Bidding starts at just $19,990. With hundreds of items of all shapes, sizes, and values available, how do organizers of the 2010 Rhode Island PBS Spring Auction show off more of the merchandise before the event? Put everything online, and produce a preview show. "We have already received more than 300 auction donations this year, and we expect delivery of 400 more items," said Auction Director Jeffrey Hartley. "In this economy, that speaks to the enormous generosity and support of our donor companies and individuals." He added about the donations, "There literally is something for everyone, and in every price range." Jeff Hartley, of North Smithfield, has been the Rhode Island PBS auction director for eight years, and an employee of WSBE for 22 years. In that time, he has seen technology undergo a huge revolution, and he has tried to keep pace by moving more and more auction activity onto the Internet. "Every Spring Auction item will be posted online," Hartley said. "We started using the Web two years ago, featuring items of higher donor value. Last year, the entire inventory went online, and people loved the convenience. So, again this year, everything from a $10 pizza to a $20,000 car will be available for preview and bidding online starting April 1." In addition to browsing item images and descriptions, online bidders will know the exact time each item will be sold, to help them devise their bidding strategy. During the televised auction, watchers can track the bidding activity in real time. The auction site also permits proxy bidding, which means a higher, maximum bid can be placed on reserve, but only the minimum dollar amount needed to win the auction will be used. Although not foolproof, this strategy is especially useful if a bidder really wants a particular item, but either cannot monitor the final bidding, or suspects increased competitive bidding activity as the item is being sold off. "A bid can sit unchallenged for days or even weeks, but there are watchers are keeping an eye on it," Hartley noted. "Then, in the final minute, bids come in from all over, and the person whose bid was winning two minutes ago, loses out. That's happened several times. It's actually what makes live auctions so exciting." Fans of the popular annual event who do not have Internet access can still watch the auction live on television and call in to place their bids from Monday April 26 through Friday, April 30, beginning at 7 P.M. each evening. "All bids will be placed online, whether bidders do it themselves on computers at home, or by calling our studio and having our volunteers place bids online," Hartley explained. Casting a wider net using the 'Net increases visibility and positive exposure for the station – and the many businesses that donated goods and services. But it's still the close connection to the local community that differentiates Rhode Island PBS from other public television stations in the region. "The heart and soul of Rhode Island PBS is our relationship with the community - our members, donors, and volunteers," Hartley stated. "There is no greater evidence of this dynamic than our Spring Auction." More than two dozen Spring Auction items will be featured in a half-hour preview show, airing at various times throughout April on both WSBE Rhode Island PBS and WSBE Learn. To see auction items, bid (beginning April 1), or get more information about the auction, visit http://ripbs.cmarket.com. WSBE Rhode Island PBS transmits over the air on digital 36.1. Find WSBE Rhode Island PBS on subscription television services on: Cox 08 or Cox HD 708, Verizon 08 or Verizon HD 508; Comcast (check local listings for standard definition) or Comcast HD 819; Dish Network 7776; DirecTV 36. WSBE Learn transmits over the air on digital 36.2, and on cable: Cox 808, Verizon 478, Comcast 295. It's here! It's time to browse and bid on any number of great items, while helping support the fine programming on Rhode Island PBS. Seven hundred items have been donated by generous merchants, artisans, restaurateurs, contractors, gardeners, and others! We're posting items as quickly as we can to make them available for your bids. But what's on the site now is only a fraction of the number of items we'll be offering - so keep checking back! And remember - high bids help us pay for programming for the entire family here on Rhode Island PBS. See something you like? No need to wait until the auction is on TV, April 26 - 30. Bid now! If you'd like, you can set up a proxy bid. This way, you can set a maximum you're willing to pay for an item. If others bid on the same piece, our auction hosting software will increase your bid on your behalf, by the minimum increment above the competing bid - but only to your maximum. If you're outbid we'll send you an email letting you know. Then, unless the item is about to close, you'll have the chance to decide if you'd like to increase your bid. *Pre-Registering takes just moments, but please don't wait until moments count! Pre-register now. Here's why: Our system must "recognize" a bidder before it accepts a bid. If you're unregistered and try to bid as an item is closing, you may not be able to bid in time to get it. Here the line-up for this week's very special show, The Reunion! Providence mayoral and 1st Congressional races. 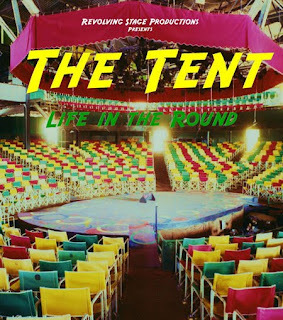 The Tent: Life in the Round tells the story of the Warwick Musical Theatre, the site of countless summer performances by entertainment's top stars. A family-run business for 45 years, "The Tent" was a popular must-visit destination, known for its revolving circular stage, intimate atmosphere, big-name performers, and affordable tickets. Owners Buster and Barbara Bonoff took their passion for the performing arts and made it their living. Along the way over the years, they touched the lives of their hundreds of employees and thousands of theater-goers. Typical of Rhode Island, the Warwick Musical Theatre was still known as "The Tent" long after a permanent building was erected on the site in 1967. 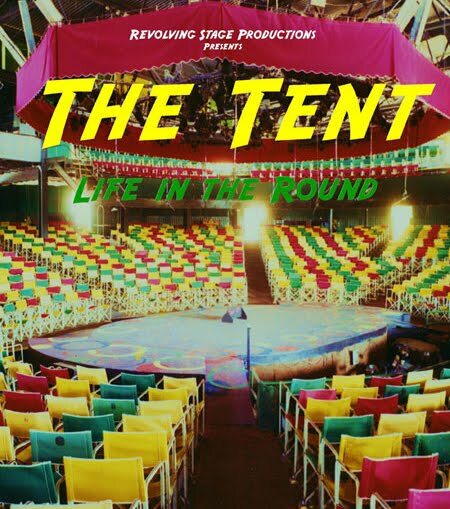 The Tent: Life in the Round is co-produced by Larry Bonoff, son of the owners, and features reminiscences by performers Billy Ray Cyrus, Howie Mandel, Huey Lewis, Vince Gill, and many more. Director-writer-co-producer Brian Jones used archival footage, as well as memorabilia and photos from Larry Bonoff's collection. The film was edited by Emmy-winning filmmaker Jim Karpeichik and narrated by Patrice Wood. Journal Arts writer Michael Janusonis said about The Tent: Life in the Round: "It’s a warm-hearted, endearing portrait of a place where everyone who worked there came together every summer, year after year, as one big happy family to present the kind of performers one could only see at the time on television or in the movies." When the Reds Ruled the Roost, the story of a 50-year hockey love affair between a team and its thousands of passionate fans. The 40-minute documentary includes rare footage from every decade, starting in the 1920s when the Rhode Island Reds were born. The film also shows vintage photos of Hockey Hall of Famers Milt Schmidt, Johnny Bower, Ed Giacomin and Fern Flaman. Other hockey greats appearing in the film are some of the toughest guys ever to play the game: Jim Bartlett, Eddie Shack, and Chuck Scherza. The program is a compelling video history about the immensely popular Rhode Island Reds and includes many colorful stories from former players, hockey Hall of Famers, owners, general managers and coaches. Emmy award-winning former television sportscaster Joe Rocco produced When the Reds Ruled the Roost. He spent 18 months conducting interviews with former hockey greats, as well as collecting photos and film clips that haven’t been seen in decades. The program is narrated by Boston Bruins legendary announcer Fred Cusick. When the Reds Ruled the Roost airs on Saturday, April 10 at 7 PM and Sunday April 11 at 11 PM. The poignant and factual Hidden Face of Homelessness examines the difficult choices that so many who find themselves homeless must make each day to survive, even as they hide from those who really should be able to help them. The documentary offers insight, dispels myths and stereotypes, and proposes real solutions. Through several interviews with experts as well as the homeless themselves, the documentary shows that 80-90% of the homeless population does not fit the stereotypes. These are people we encounter on a daily basis, working at a market or in an office, but have no place to go at the end of the day. Hidden Face of Homelessness was filmed in Rhode Island, second only to Nevada in percentage of population that is homeless. It airs on Saturday, April 17 at 7 PM, and on Sunday, April 18 at 11 PM. From award-winning director Christian De Rezendes comes Zach: A Film about Epilepsy. Nearing the age of twenty, Zachery Smith has a severe form of epilepsy for which there is no cure. This film captures a day in his life with his family, his schooling, and Zach's ongoing struggles with epilepsy. Zach: A Film about Epilepsy airs Saturday, April 24 at 7 PM and Sunday, April 25 at 11 PM. Following Zach: A Film about Epilepsy is a timely encore of The Impact of Your Choice: Underage Drinking and Reckless Driving. With prom and graduation season around the corner, the documentary serves as a stunning reminder of the dangers of underage drinking. The Impact of Your Choice: Underage Drinking and Reckless Driving presents local stories but from the perspective of those who are left behind to cope with the death of their child, brother, sister, friend. This documentary won several awards for its educational content. The Impact of Your Choice: Underage Drinking and Reckless Driving airs Saturday, April 24 at 7:30 PM and Sunday, April 25 at 11:30 PM. The First Genocide of the 20th Century"
The URI Feinstein Providence Campus has invited Gallery Z director Bérge Ara Zobian, an Armenian of Providence, RI, to curate an historically and artistically important show: THE ARMENIAN GENOCIDE – 95 YEARS LATER, IN REMEMBRANCE, including original art works by more than 40 artists and 100 school children, along with photographs, posters, and artifacts from ALMA Armenian Library Museum of America and, Armenian Genocide Museum Institute of Armenia and private collections. 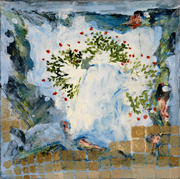 The exhibit includes works by Adrienne Der Marderosian, Armen Garo, Arpi Dadoyan, Astrid, Berge Ara Zobian, Beth Ferreira, Carol Scavotto, Chris Gasparian, Chris Murphy, Cynthia Motian McGuirl, David Ayirian, Medina Topalian, Emma Grigoryan, Greg Chopoorian, Hagop B.Aprahamian, Hrair B. Aprahamian, Ian Mohon, Jason Roberts, John Avakian, Judith Ferrara, Julian Penrose, Kevork Mourad, Lara B., Lidya Tchakerian, Marsha Nouritza Odabashian, Nilton Cadenas, Norma Papazian Akkelian, Daniel Varoujan Hejinian, HAWK, Sevan Naccachian, Nareg Haroutunian, Simon Samsonian (b.1915 d.2003), Sirapi Heghinian Waltzer, Sossy Narcessian, Stephen Koharian, Sylva Portoian, Taylor Manter, Yevkeen, Varky, Tigran Tsitoghdzyan, Alexander Grigorian, Dorothy Abram, Larry Sykes.